View the intracoastal by SIESTA KEY from your master bedroom porch having a rest on the reclining chairs. 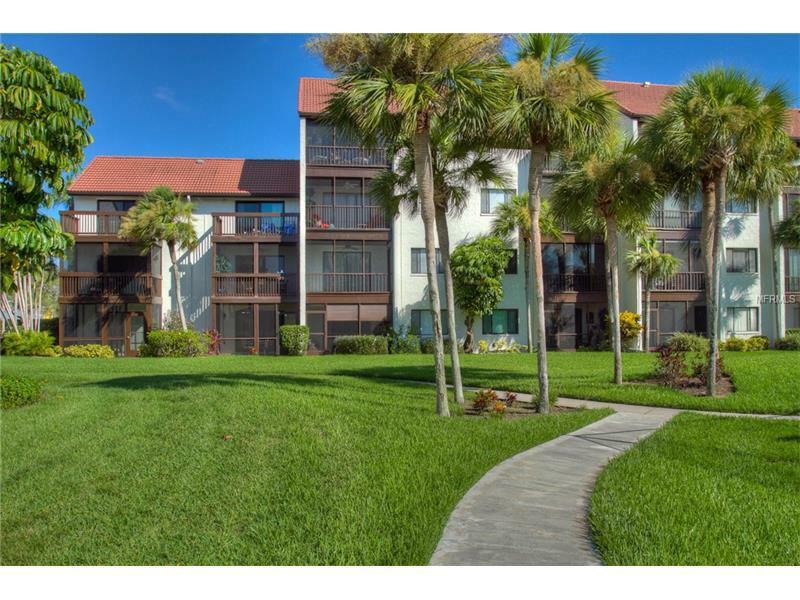 This second floor townhouse is in the perfect location for your stay in SARASOTA and a short distance from a world famous beach. Located by the Stickney Point Bridge this renovated and beautifully decorated townhouse is ready for short term stays of a minimum of one month. Up the stairs to the front door and step into this light filled home, all up to date decorating in neutral tones. There is a guest bathroom on the first floor and an extra single bed for overflow guests. Up to the bedroom level and you will find two bedrooms, the master has a king sized bed and the second bedroom features a queen sized bed. There are two porches for relaxing on, one off the living room and one off the master bedroom. There is a washer and dryer in the unit, and the resort style complex features two swimming pools, one overlooking the bay and tennis courts. Summer rate is $2,500 per month, and Season rate is $3,500. SARASOTA, NEAR SIESTA KEY, RENTAL.